- N'Gai Croal's original comments on the RE5 Trailer: "Newsweek’s N’Gai Croal On The ‘Resident Evil 5′ Trailer: ‘This Imagery Has A History'"
I'm a bit late to the party, but, I have to express my deep appreciation for your incredibly intelligent and insightful discussion about this game. I haven't played it (and likely won't, until I feel like spending more of my money on a 360/ps3), but, I've followed the series, and #5's release, closely, and really enjoyed your chat. Awesome stuff, gentlemen. I look forward to listening to more. Never to late, we always say, and thanks for the compliment. What is the nature of your interest in RE? Do you like the game mainly for for the gameplay, or are you interested in the story as well? If it is the latter, you'll be happy to know that RE5 unabashedly references previous games. There isn't much memory refreshing though, so unless you are a die hard RE fan, Wikipedia is your best bet for figuring out what's going on in the story. Lol i love it when people say that the latest game RE5 is racist. It just happens to be that the game is based in Africa, and guess what would happen if Human Infected Beings, as i call them, were located in Africa? Yup they would be black. Anyways I am not offended by it and I am a black person, so i do not see why is there a problem with this issue. 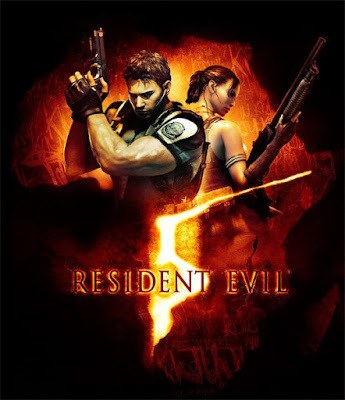 I think people discussing this issue do not play the Resident Evil Series. I hope i win this years Halloween Costume!